MILAN (Reuters) -- Fiat said it had suspended its commercial relations with Iran in a move aimed at supporting international diplomatic efforts. "Effective immediately the subsidiaries will no longer carry out business activity related to products or components where the ultimate destination of such products is known to be Iran," Fiat said on Friday. 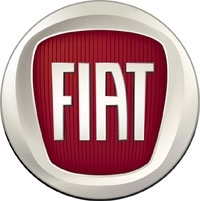 Separately, truck maker Fiat Industrial, which like Fiat is controlled by Italy's Agnelli family, also said it had suspended its commercial ties with Iran. Fiat and Fiat Industrial both said that their sales to Iran-based entities had been totally immaterial in recent years.